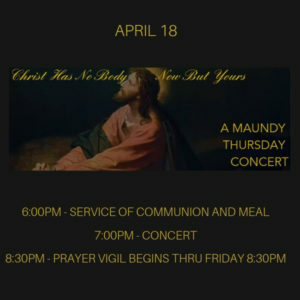 Make sure you mark your calendar for our annual Maundy Thursday Communion Supper and Choral Concert. We will meet for dinner and communion at 6:00 pm. The concert will begin at 7:00 pm. 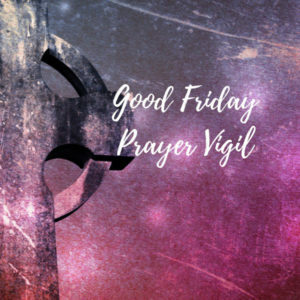 Our 24 hour Prayer Vigil will begin immediately following the concert at 8:30pm and continue thru Good Friday, 8:30pm .